Although archaeology cannot directly substantiate the scriptural stories of Abraham, Isaac, and Jacob, it can tell us something about the geography, settlements, and daily life of their contemporaries. Learning more about these places helps us get a more realistic sense of the setting in which the patriarchs lived. It is hoped that this series of presentations will increase exposure to these lesser-known sites, so rich in biblical history. This second presentation will take us to the most well-known site connected with Abraham, the Tomb of the Patriarchs located in modern Hebron. In the Bible, this site is connected with the place names of Machpelah and Kiryat Arba. Here Abraham purchased a cave for the burial of Sarah from local residents. The cave of Machpelah has been a site of pilgrimage for thousands of years. Machpelah has been under the control of Jews, Christians and Muslims at various times in its history. It was enclosed two thousand years ago within a roofless structure whose imposing walls were built by Herod the Great. It was later the site of Byzantine and Crusader Christian churches. In 1267, minaret towers were added by Muslim rulers and the structure was transformed into a large mosque, al-Haram al-Khalil, the al-Khalil referring to Abraham as “the friend,” meaning the friend of God. Jews call it Me’arat HaMachpelah. The most important features of the structure are its six cenotaphs, monuments to Abraham and Sarah, Isaac and Rebekah, and Jacob and Leah. The bodies themselves are thought to be buried in the cave beneath the building. Currently sealed off to access, this cave previously has been eamined by ancient and modern explorers, and interesting artifacts have been found. This video can also be seen on the Interpreter Foundation YouTube channel (https://www.youtube.com/watch?v=T8lOjtD2sd4) and is also available for download from our server at http://cdn.interpreterfoundation.org/ifvideo/Abraham’s Hebron-Then and Now p2-The Tomb of the Patriarchs.m4v. If the video plays, right-click within the video and select the “Save video as …” menu option to download it. A playlist, Abraham’s Hebron: Then and Now is also available on The Interpreter Foundation YouTube channel. Used with permission of Book of Mormon Central. See https://knowhy.bookofmormoncentral.org/reference-knowhy. Jeffrey M. Bradshaw (PhD, Cognitive Science, University of Washington) is a Senior Research Scientist at the Florida Institute for Human and Machine Cognition (IHMC) in Pensacola, Florida (www.ihmc.us/groups/jbradshaw;en.wikipedia.org/wiki/Jeffrey_M._Bradshaw). His professional writings have explored a wide range of topics in human and machine intelligence (www.jeffreymbradshaw.net). Jeff has been the recipient of several awards and patents and has been an adviser for initiatives in science, defense, space, industry, and academia worldwide. 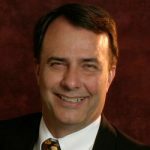 He chairs the Scientific Advisory Council for the Nissan Research Center—Silicon Valley and is a former co-editor of the Human-Centered Computing Department for IEEE Intelligent Systems. He was a member of the Defense Science Board 2015 Study on Autonomy, the Board on Global Science and Technology for the National Academies of Science, and the National Research Council Committee on Emerging Cognitive Neuroscience Research. 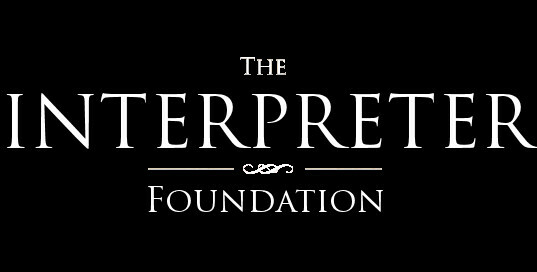 Jeff serves as a vice president for The Interpreter Foundation and is on the Advisory Board for the Academy for Temple Studies. He has lectured at BYU Campus Education Week and the Sidney B. Sperry Symposium and has presented at FairMormon meetings in the United States, Germany, and France. His articles on temple studies and the ancient Near East have appeared in Studies in the Bible and Antiquity, Element: A Journal of Mormon Philosophy and Theology, Interpreter: A Journal of Mormon Scripture, Meridian Magazine, and BYU Studies. Jeff has written detailed commentaries on the book of Moses and Genesis 1-11 and on temple themes in the scriptures. For LDS-related publications, see www.TempleThemes.net. Jeff was a missionary in France and Belgium from 1975–1977, and his family has returned twice to live in France: once from 1993–1994 as a Fulbright Scholar and a second time from 2005–2006 as an unexpected “sabbatical” in the aftermath of Hurricane Ivan. Jeff has served twice as a bishop and twice as a counselor in the stake presidency of the Pensacola Florida Stake. He and his wife, Kathleen, are the parents of four children and thirteen grandchildren. In June 2018, they finished two years of service in the Democratic Republic of Congo, Kinshasa Mission. In March 2019, they began six months of missionary service in the DR Congo Kinshasa Temple. KnoWhy OTL01A — Why Did Moses Seem to Repeat the Same Experience Twice in His Vision? KnoWhy OTL02A — What Was the Nature of Satan’s Premortal Proposal? KnoWhy OTL03A — What Can the Architecture of Israelite Temples Teach Us About Creation and the Garden of Eden? KnoWhy OTL03B — Did Moses Write the Book of Genesis? KnoWhy OTL04A — Did Satan Actually Deceive Eve? KnoWhy OTL04B — Was Adam Meant to “Rule Over” or “Rule With” Eve? KnoWhy OTL05A — Why Was Joseph Smith Initially Prohibited from Publishing His Bible Translation? KnoWhy OTL05B — How Does Moses 5-8 Illustrate the Consequences of Keeping and Breaking Temple Covenants One By One? KnoWhy OTL05C — Could Joseph Smith Have Drawn On Ancient Manuscripts When He Translated the Story of Enoch? KnoWhy OTL05D — What Did Hugh Nibley Have to Say About the LDS Enoch and the Aramaic Book of the Giants? KnoWhy OTL06A — Was Noah’s Ark Designed As a Floating Temple? KnoWhy OTL06B — Was Noah Drunk or in a Vision? KnoWhy OTL06C — What Was All the Confusion About at the Tower of Babel? KnoWhy OTL07A — If “All Are Alike Unto God,” Why Were Special Promises Reserved for Abraham’s Seed? KnoWhy OTL09A — Must Every Disciple Make an Abrahamic Sacrifice? KnoWhy OTL10A — What Are We to Make of Jacob’s Apparent Deceitfulness? KnoWhy OTL11A — Why Are the Stories of Joseph and Judah Intertwined? KnoWhy OTL12A — How Should We Understand the Rich Symbolism in Jacob’s Blessings of Judah and Joseph? KnoWhy OTL12B — What Can We Learn About Patriarchal Blessings from a Congolese Patriarch? KnoWhy OTL13A — What Did the Lord Mean When He Said Moses Would Become "God to Pharaoh" During the Plagues of Egypt? KnoWhy OTL13B — What Can We Learn About the Historical Exodus from Outside the Scriptures? KnoWhy OTL13C — Is There Any Evidence in Egyptian Sources for the Exodus? KnoWhy OTL14A — What Similarities Are There Between Egyptian and Israelite Temples? KnoWhy OTL14B — What Were Israel’s Most Serious Provocations of the Lord in the Wilderness? KnoWhy OTL15A — How Do the Serpent and the Shewbread Symbolize Christ? KnoWhy OTL16A — Have There Been Any Latter-Day Parallels to Balaam's Blessing? KnoWhy OTL17A — What Are the Most Cited, Recited, and Misunderstood Verses in Deuteronomy? KnoWhy OTL18A — Did Joshua “Utterly Destroy” the Canaanites? KnoWhy OTL19A — Why and How Should We Study the Old Testament? KnoWhy OTL20A — How Does the Book of Ruth Provide a Model for Marriage? KnoWhy OTL21A — What Is the Meaning of the Samuel’s Reply: “Here Am I”? KnoWhy OTL22A — What Was the Religious Role of Music in the Life and Times of David? KnoWhy OTL23A — How Does the Story of David's Loyalty to Saul Apply in Our Day? KnoWhy OTL25A — Is There More to Psalm 23 Than Words of Solace and Comfort? KnoWhy OTL26A — Why Does "Holiness To the Lord" Appear on LDS Temples? KnoWhy OTL28A — Is the Spirit of Elijah a Healing Power in Addition to Being a Sealing Power? KnoWhy OTL29A — What Should We Make of the Story of Elisha and the Bears? KnoWhy OTL29B — What Is the Significance of the Unusual Symbolism in Elisha’s Healings? KnoWhy OTL30A — What New Archaeological Discoveries in Jerusalem Relate to Hezekiah? KnoWhy OTL36A — How Might We Interpret the Dense Temple-Related Symbolism of the Prophet's Heavenly Vision in Isaiah 6? What New Archaeological Discoveries in Jerusalem Relate to Hezekiah? (Gospel Doctrine Lesson 30A) - The Mormonist October 3, 2018 at 7:02 pm on KnoWhy OTL30A — What New Archaeological Discoveries in Jerusalem Relate to Hezekiah? How Might We Interpret the Dense Temple-Related Symbolism of the Prophet’s Heavenly Vision in Isaiah 6? (Gospel Doctrine Lesson 36A) - The Mormonist October 3, 2018 at 7:02 pm on KnoWhy OTL36A — How Might We Interpret the Dense Temple-Related Symbolism of the Prophet’s Heavenly Vision in Isaiah 6? What Is the Significance of the Unusual Symbolism in Elisha’s Healings? (Gospel Doctrine Lesson 29B) - The Mormonist August 23, 2018 at 10:06 am on KnoWhy OTL29B — What Is the Significance of the Unusual Symbolism in Elisha’s Healings? Jeffry M. Bradshaw August 18, 2018 at 3:23 pm on KnoWhy OTL29A — What Should We Make of the Story of Elisha and the Bears? Jean Steeley August 18, 2018 at 9:34 am on KnoWhy OTL29A — What Should We Make of the Story of Elisha and the Bears?